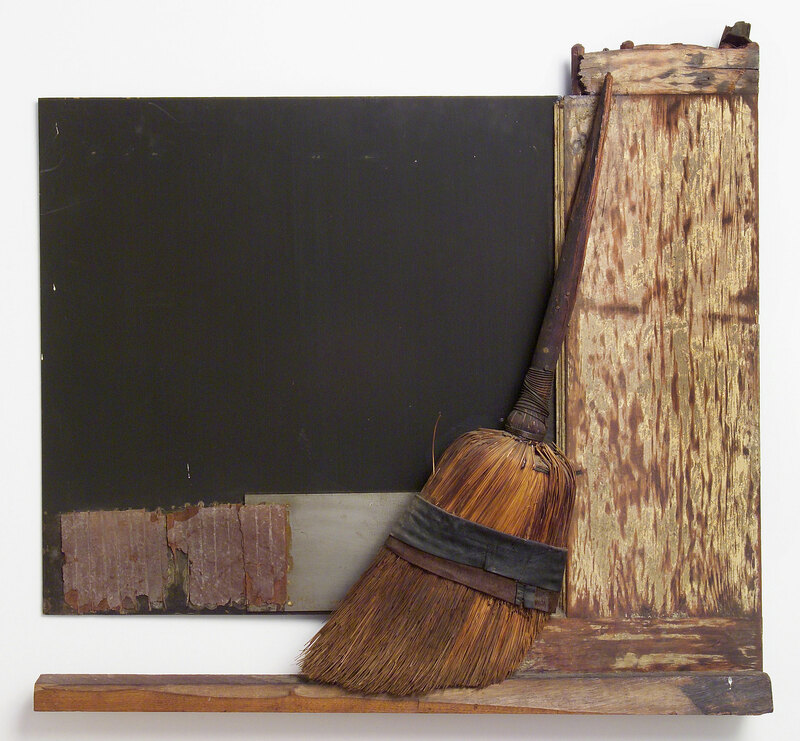 This work prominently features a broom, which leans against part of an old screen door. The broom's bristles are wrapped in folded leather, and there is a section of wall next to it that has vertical striations, seemingly made from clay, which has partially worn away and chipped. Within African American culture, brooms are frequently used in wedding ceremonies, in a tradition referred to as "jumping the broom." This custom began during slavery, when black couples were not allowed to marry in a church. Instead, the bride and groom would jump together over a broomstick, symbolically leaping into their new life. With the multilayered Swept, Davis also recalls phrases such as "swept under the rug" and "swept away," thereby inviting metaphorical readings of this work—for instance, as alluding to the marginalization of black artists at the time. "Swept." Now Dig This! Art in Black Los Angeles, 1960–1980 Digital Archive. Los Angeles: Hammer Museum, 2016. https://hammer.ucla.edu/now-dig-this/art/swept.